The state Bureau of Air Pollution Control at the Nevada Division of Environmental Protection has opened the public notice period for a permit for a proposed Gemfield Mine in Esmeralda County, organizers announced. David Jacobs/Pahrump Valley Times The mine would be located approximately 30 miles south of Tonopah and one mile north of Goldfield. The public comment period is from Jan. 9 to Feb. 8, 2019. Details were announced in a news release. The bureau has reviewed the application and already made a preliminary determination to issue a Mercury Operating Permit to Reno-based Gemfield Resources LTD. The mine would be located approximately 30 miles south of Tonopah and one mile north of Goldfield. “After the permit application was reviewed and the decision of issuing the permit was reached, the Nevada Mercury Control Program within the DCNR has no concerns with this permit,” Kittrell said. The proposed project will not cause or contribute to a violation of any federal or state of Nevada air quality standards, according to the press release. Kittrell said that compliance with the limits defined in the issued permit is also verified through regular testing, along with rigorous monitoring of the emission control technology itself. The NMCP has achieved emission limits in its regulated facilities that are significantly lower than federal standards, she said. Gemfield Mine is a new open pit, heap leach, and gold recovery mining operation, according to the press release. The permit is required for the site’s proposed thermal units, which consist of a carbon regeneration kiln, a strip solution tank, an electrowinning cell, a retort, and a melt furnace. 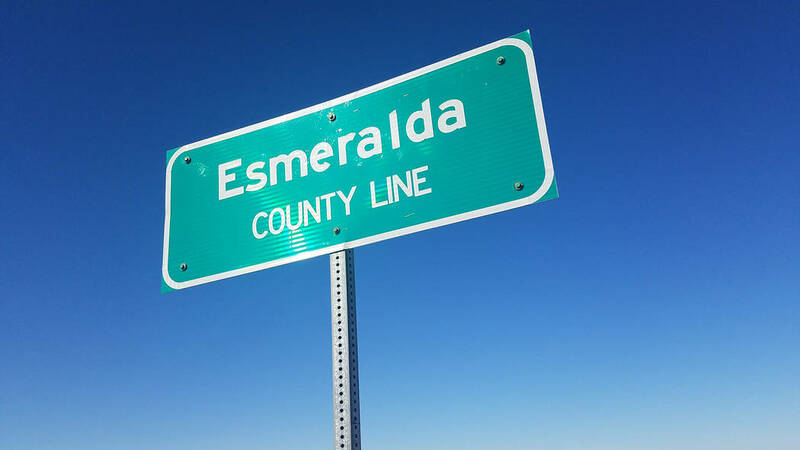 Esmeralda County has 11 mines that have current water pollution control permits. They include Mineral Ridge Gold Mine, Silver Peak Lithium, Lone Mountain Turquoise mines and seven small gold operations. There is also a permitted but not constructed gold mine on the north side of Tonopah called Three Hills Mine. While Beatty has seen an uptick in gold exploration over the last year, Kittrell said that the workload in the Bureau of Mining Regulation and Reclamation for new permits and permit modifications has been “at a normal level” during the last year. “There has been an increased interest in lithium, but there have been no new permit applications generated for lithium projects yet. We would anticipate an increase in gold mine permitting activity only after a sustained increase in gold prices,” Kittrell said. Those who want to comment on the proposed permit should submit their comments to Ryan Clark, Nevada Division of Environmental Protection, Bureau of Air Pollution Control, 901 S. Stewart Street, Suite 4001, Carson City, NV 89701.